Who or what is Qua­Text? Qua­Text — Insti­tut für qua­li­ta­ti­ve Sozi­al­for­schung was foun­ded in 1982 as a regis­te­red asso­cia­ti­on — “ein­ge­tra­ge­ner Ver­ein” (e.V.) — in Ber­lin. Its work is reco­gni­zed to be con­du­ci­ve to the com­mon good and the public inte­rest. The goal of the insti­tu­te is to advan­ce and fos­ter qua­li­ta­ti­ve methods in the soci­al sci­en­ces and the huma­nities. 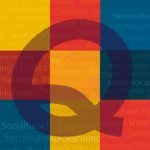 Mem­bers of Qua­Text are by majo­ri­ty socio­lo­gists who are or were rese­ar­ching and teaching full-time at uni­ver­si­ties. They work in a mul­ti­di­sci­pli­na­ry way and have long las­ting expe­ri­en­ce in qua­li­ta­ti­ve rese­ar­ch. We pro­vi­de advice for rese­ar­ch pro­jects and indi­vi­dual sci­en­tists who collect and ana­ly­ze qua­li­ta­ti­ve data. We regu­lar­ly offer cour­ses on inter­pre­ta­ti­ve methods of data collec­tion and methods of text ana­ly­sis. Our main foci are methods of bio­gra­phi­cal rese­ar­ch and issu­es of Oral His­to­ry, whi­le the cour­ses are pri­ma­ri­ly desi­gned for the acqui­si­ti­on and con­so­li­da­ti­on of prac­tical rese­ar­ch skills. We empha­si­ze the incor­po­ra­ti­on of the par­ticpants‘ own empi­ri­cal pro­jects into the cour­ses and the metho­do­lo­gi­cal moni­to­ring and aid of the­se pro­jects are in the cen­ter of our atten­ti­on.